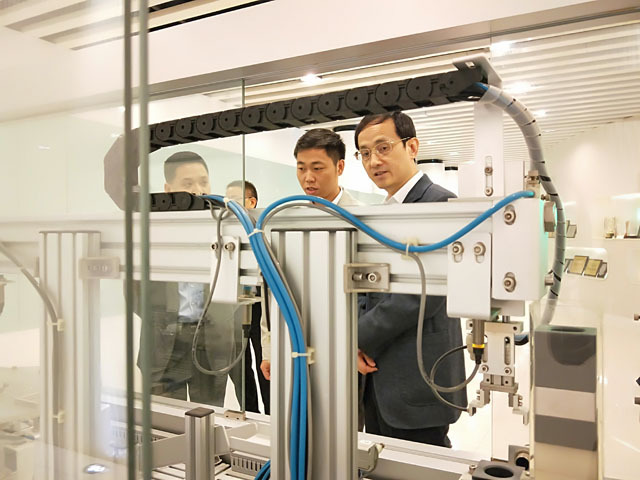 Zhang Shifang, Director of Ningbo Economic and Information Committee, Investigates the Factory of Ningbo AirTAC Automatic Industrial Co.,Ltd. 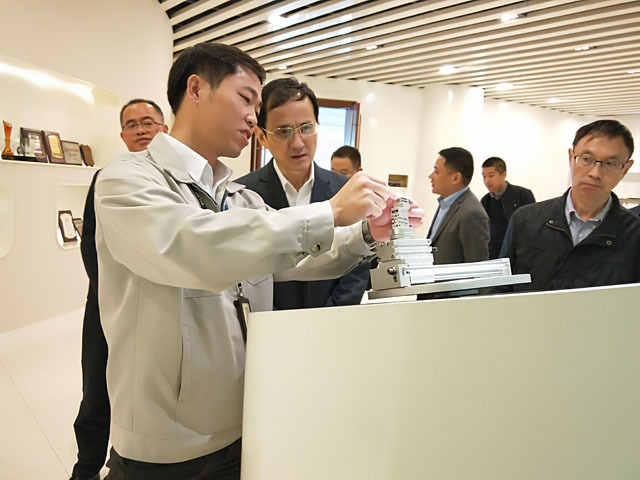 On the morning of November 13, 2018, Mr. Zhang Shifang, Secretary and Director of the Party Committee of Ningbo Economic and Information Committee, and eight other leaders visited Ningbo AirTAC factory for investigation and research. Mao Xiaoyang, Senior Manager of General Manager Office of Ningbo AirTAC Automatic Industrial Co.,Ltd., received the visitors. 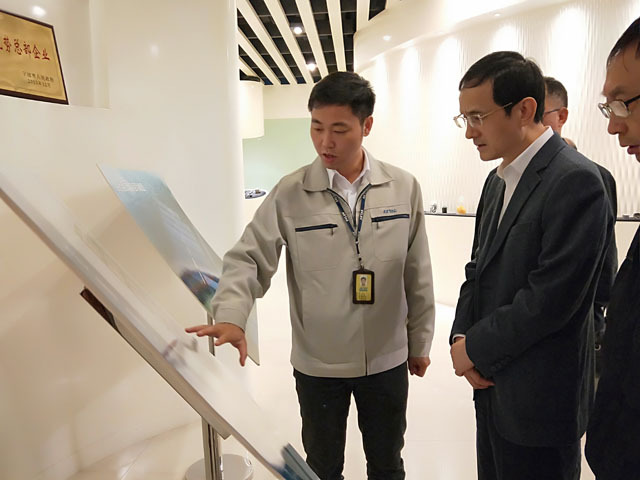 During this period, the senior manager of Mao Xiaoyang accompanied Director Zhang Shifang to visit the Product Exhibition Hall, and introduced the products and application fields. 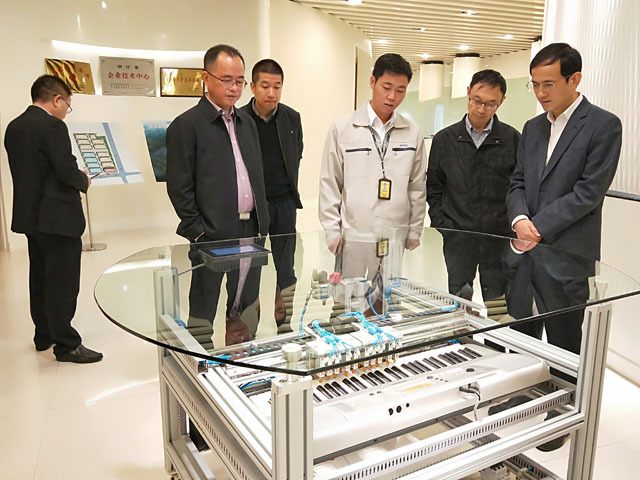 Subsequently, Mr. Mao Xiaoyang introduced the development process of AirTAC, machine replacement and automation transformation, industrial development planning and layout, corporate culture and social responsibility to the visitors. The two sides had in-depth exchanges on the growth rate of sales performance, tax amount, market share, R&D, innovation and equipment investment of AirTAC from 2013 to 2017. Director Zhang Shifang gave a high appraisal to the company, and shared some ideas, perceptions and experiences of individual enterprise management, and encouraged the enterprise to continue to forge ahead. Warm Congratulations on the Successful Launching of the Foundation Celebration of Guangdong AirTAC Intelligent Equipment Co., Ltd.